Late last year, there was some speculation about Lexus preparing with a new model when the Japanese luxury automaker filed a trademark for a "Lexus RC350." If we were to look at the RC part of the trademark, this suggests that the new model will most likely be a coupe, just like the company�s SC model. And the 350 part would suggest that it will feature a 3.5-litre powerplant. 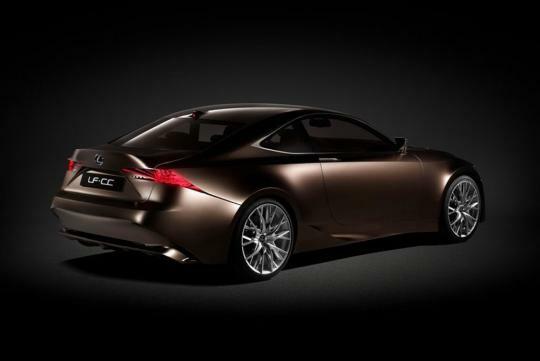 At the 2012 Paris Auto Show, the company did confirm that the LF-CC coupe concept (pictured here) is a preview of a new coupe that Lexus planned to release. And now, they have recently just filed another trademark known as the RC F.
It is clear that the planned coupe will get a higher performance version. Although we can't just speculate or even expect much from just a trademark filing, but the confirmation of a planned coupe from the company gives us some direction in what's coming. 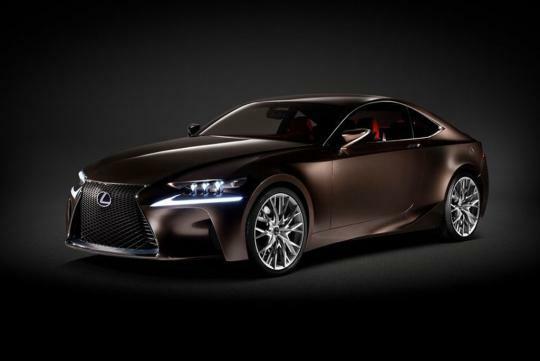 There were also some rumours that the RC model will be somewhat like an IS coupe. And the standard RC model will feature the same 3.5-litre V6 engine that the company uses in the GS and IS models. With the trademark filing of the RC F, it is expected that, if the model comes out, it will feature the same naturally aspirated V8 unit from the IS F.